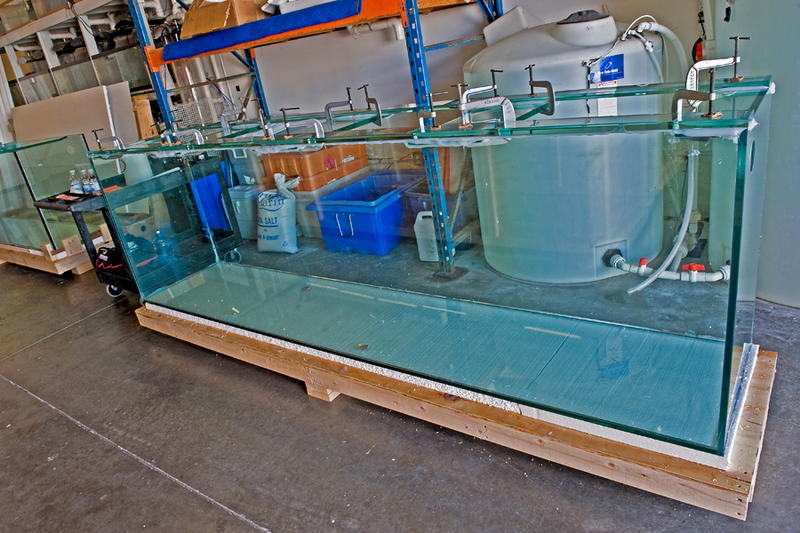 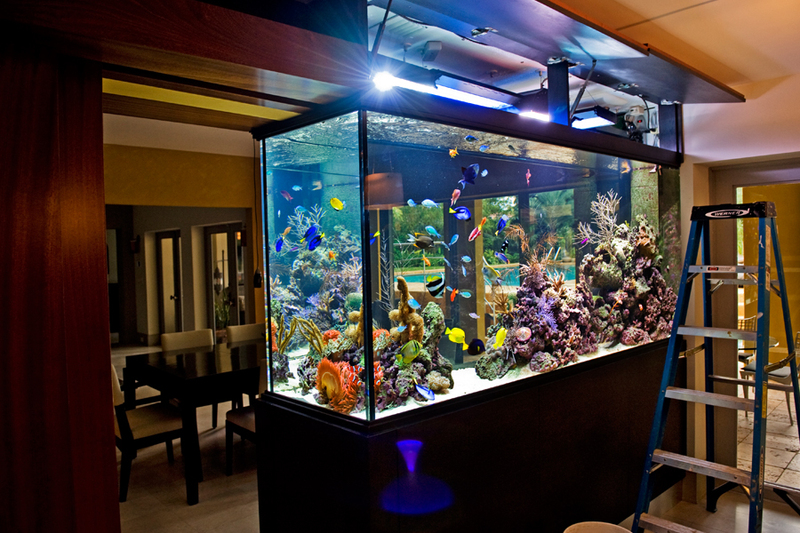 555 Gallon Living Coral Reef - REEF AQUARIA DESIGNREEF AQUARIA DESIGN | Every great room deserves a great aquarium. 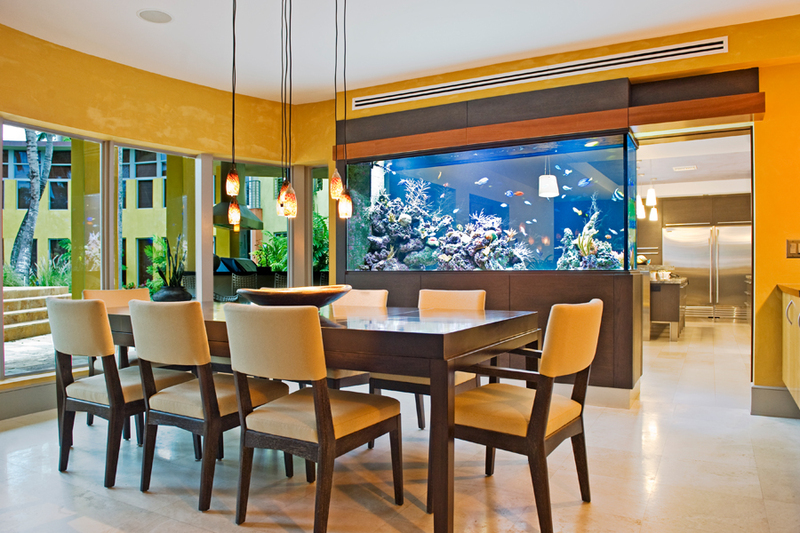 This slight wedge shaped aquarium frames a well-appointed modern kitchen and allows a see through view into the dining room as well. 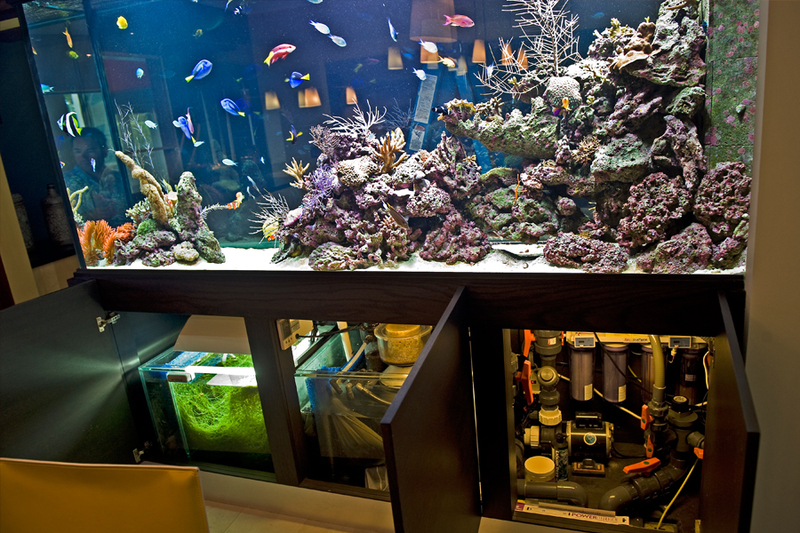 The dark tones of the efficient mill-work allow the colors and natural beauty of the reef to stand out.